A deposit of $350 is due at the time of registration. We accept Visa, MasterCard, Discover and payments by check. Full payments of all charges are due by June 1st. Alternative payment plans are available. Please contact the office to arrange a deposit or payment schedule that fits your family budget. ***In partnership with local communities, we are committed to helping all camp families who are in need of financial assistance. Need based scholarships are available from the Harry & Rose Samson Family Jewish Community Center in Milwaukee regardless of where you live. Scholarship applications are available upon request from our office and can be found on your forms dashboard after registration. Scholarship applications must be received by January 31st to be considered for the first round of awards. Funds may or may not be available after that time. Please note that all JCC scholarship applications must be accompanied by a camp registration and a deposit. If the scholarship amount that you’re awarded doesn’t allow you to attend Camp, you will be refunded your deposit. Many synagogues offer financial assistance for camp tuition. Call yours to find out if they can help. Jewish Children’s Regional Service (JCRS) is the oldest existing Jewish children’s social services organization in America providing camp scholarships to campers throughout the south for over 150 years. If you live in Alabama, Arkansas, Louisiana, Mississippi, Oklahoma, Tennessee, or Texas, you may be eligible to receive scholarship.Go to www.jcrs.org for more information. 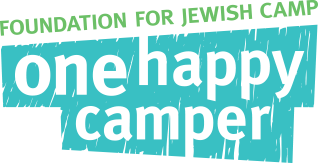 Our friends at the Foundation for Jewish Camp are proud to offer the One Happy Camper Incentive Grant for first time overnight campers. To be eligible, your child must be a first-time camper. Other states with Campership grants: WI, FL, IL, MA, MO, NY, OH, PA, TX and more. Go to www.onehappycamper.org to see the complete list and see if you qualify. Rules vary in each community. Our partners at the Harold Grinspoon Foundation and JCamp180 are happy to offer Incentive Grants for PJ Library subscribers or alumni who are looking for their first Jewish Summer Camping experience. Incentives of up to $1,000 are available for first time campers. Your camper must be an alumnus of PJ Library, active member or a sibling of an active member registered with the PJ Library program prior to September 1st. To apply or to see if your camper is eligible, go to https://pjlibrary.org/beyond-books/pj-goes-to-camp. Host a Camp Party at your house and receive $100 off camp! A parlor meeting is a 1-hour meeting that you host in your home. You provide the potential families and the refreshments. One of our Interlaken Directors will come and discuss camp and answer any and every question a new parent might have. Know some families that have potential Interlaken campers? For every new family that registers for camp because of your party, you will receive $300 off your tuition! Contact us to schedule yours! Refer a friend who registers for camp and you will receive $200 off of camp tuition.